Dine-in for four? Bring your family and friends to Project Pie! My favorite combination: Load your pizza with all the favorite cheeses + lots of garlic. Then get the refillable drink, and mix their specialty tea with soda. :p It's so goood! Tried this for two consecutive days (no regrets! lol). 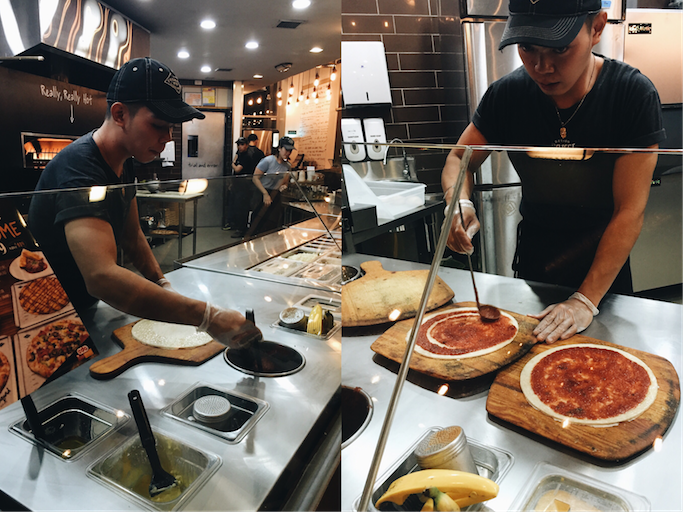 Visit Project Pie in the following branches: 515 Shaw Mandaluyong City, SM Megamall, Grand Pallazo Eastwood, Tomas Morato, SM North Edsa, Ayala Fairview Terraces, Parksquare Makati City, Forbes Town Valero Street Makati City, Bluebay Walk Pasay City, SM Southmall, Block 28 Commerce Avenue Alabang, and Station 2 Boracay. For more information, like Project Pie Philippines on FACEBOOK!